Have you ever found that when you start winding down for bed, your mind shifts into high gear and starts planning the rest of your life? A few years ago, our athletics department was treated to a great seminar based on a best-selling book entitled, “Getting Things Done” by David Allen. The presenter, Maurice Gavin, talked about doing mind sweeps. He explained that your brain stores to-do items and anxiously wants to complete them. When you don’t write these down, you force your brain to keep thinking about them. This leads to poor concentration, increased stress, poor sleep and decreased recovery. 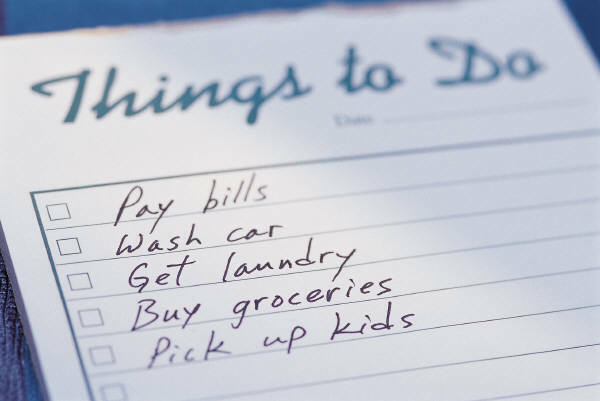 Keep a note pad & pen on your bed-side table. As you are getting ready for bed, if something important you have to do pops into your head, quickly jot it down and forget about it. If you need to, don't be afraid to stop and for a few minutes, write down everything that is on your mind – who you need to call, what tasks need to be completed, what brilliant ideas you have – anything and everything you can think of. Then, start your bedtime wind-down ritual. Then, leave your pad of paper by your bed so your mind knows it will be there in the morning. You’ll be more relaxed and ready to sleep. When my wife and I moved into our current house, it was late June. As you know, that time of the year in Canada means the sun rises well before most people want to. I found myself waking up around 4am in the morning because we have a big glass slider door in our bedroom. Light inhibits melatonin secretion. A trip to Home Depo and the wise investment of a blackout blind made a huge difference. If you can’t afford a blind, get a dark blanket and duct tape it over the window. The darker you can make your room the better! In addition to a dark room or especially if you can’t get the room dark (e.g. 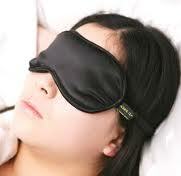 traveling), night blindfolds are also very helpful. I started wearing one just over a year ago and it really helps. Even though I feel like a geek wearing one and I still think they look ridiculous, I’ll keep wearing it – it is worth it! Fans are fantastic for creating white noise to drown out other night-time noises. We even use them in the winter and just turn them into the corner. Also, an older one that is not as quiet can be even more helpful for drowning out night time noise. For some who live in really noisy places, ear plugs can also help. If you can afford those new noise-canceling headphones they may be even better, but I did say “cheap” in the title. A huge culprit for poor sleep quality these days is the bright light from electronic devices – again this stimulates the body to be awake. Get your computer, TV and cell phone off as soon as you can at night so you can properly wind down. A good book can help you unwind. However, an exciting novel or a book that gets your mind going will work against you. Personally, I find that reading my Bible helps calm and re-focus me and this is very helpful for helping me sleep. While nowhere near as relaxing or effective as a real massage, doing some self-massage work on a pvc pipe (or a real foam roller if you prefer and have the extra cash) can be very helpful. A lacrosse ball (which is about a $3 investment) can do wonders for getting out spots that the pipe/foam roller doesn't reach. This not only reduces muscle tension which is in itself helpful for sleep, but it also seems to aid in mental relaxation as well. I have heard of massage therapists who have had patients breakdown and start crying on their tables while massaging them. Why? Somehow the physical release of muscle tension leads to an emotional release as well – please don’t ask me how this works – I have no idea. I just know it works. For more information on how to use the foam roller, check out this video. I’m reluctant to mention this lest someone think I am trying to push supplements - I'm not. Zinc and magnesium deficiencies are fairly common in athletes. Supplementing these minerals (a popular type being ZMA) seems to help some people with their sleep quality. Note: some people seem to have more intense and vivid dreams when using ZMA which may not help your sleep quality – if you choose to try this, you have been warned! Also, athletes may be wise to use supplements that are NSF certified to reduce their risk of taking a supplement that has a banned substance in it. I'm all for hydration and recognize that is plays an important role in health, body composition and performance. However, interrupting your natural sleep cycles to use the washroom is not helpful. Back off on fluids in the evening and make up for it with a few tall glasses of water first thing in the morning. Never underestimate the importance of sleep for improving your training results. Try to get as much as you need, but also focus on getting the best quality of sleep possible. Ultimately, it is about what works for you. Take from this what is most helpful for you.